Regardless of how much SEO you know, you’ve heard about backlinks and how getting a ton of backlinks will end all of life’s problems. You can’t ignore it. You either need to do it or pay someone else to do it. Whichever you choose, we want to make link-building easier. We’re going to help you get organized. Here is the ultimate cheat sheet on link building. Use this page as a reference and you’ll know what is required regarding links and you’ll be able to stay on track. Backlinks get created whenever another website links back to yours. Backlinks are incredibly valuable, as they are one of the major factors that Google takes into consideration when ranking websites. Backlinks help Google’s algorithm determine the topical relevance and authority a specific site has for the keywords its trying to rank for. Backlinks can almost be equated to currency in the SEO world, as the more links from quality sites you have, the more your site is seen as an authority. You cannot just acquire links from any website and expect to succeed. While spamming links may have worked in the past Google’s algorithm has become more sophisticated in recent years, so the quality of your links has become more important than the quantity. Not all backlinks are created equal. This means that certain links are of higher quality and more valuable than others that are considered spammy and of lower quality. When actively working on a link building campaign for your website, keep in mind that you should be careful about which links you acquire and seek out. 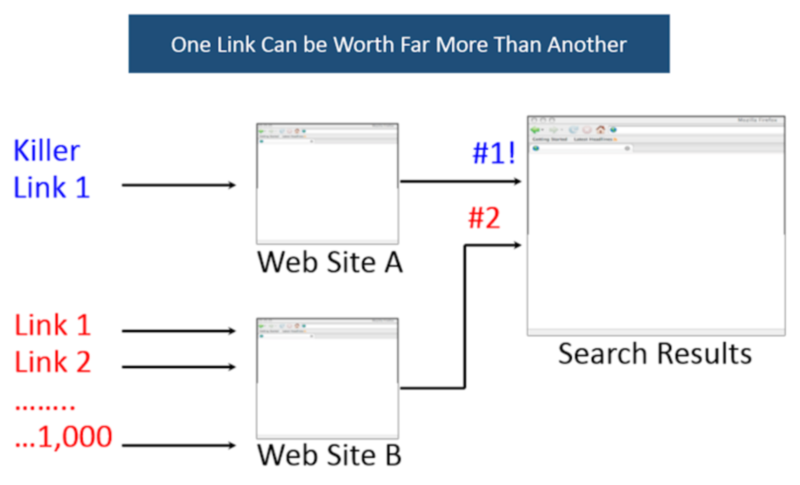 While it may be hard to win the link acquisition race against a website that already had a head start, if you aim to attract quality links over quantity, you’ll find as much if not more success. If you generate original, unique content (like a research or a study), others will want to use it. You can get creative and turn it into an infographic to make it more shareable. In fact, it’s been proven that your brain craves infographics. In fact, you can and should re-purpose your high-quality content as many blog types, including slides, video, and animated video. Relevance is one of the most important factors when it comes to acquiring quality backlinks. Links that come from referring domains that are topically relevant to your business or industry are considered to be a higher quality than referring domains that are from a totally irrelevant niche. For example, if you run a veterinarian business, you will want to acquire backlinks from various animal, health, and other vet resources rather than automotive publications. Ultimately, Google is trying to understand whether the piece of content you’re trying to rank is relevant to its targeted keywords. If I’m able to rank for a keyword like “buy used cars” with my digital marketing website, its likely that Google isn’t providing users with the best experience, which is its ultimate goal. has a domain authority or page authority under 10; if there are no backlinks vouching for the authority of the website, then you might want to avoid counting that link as part of your backlink portfolio. Domain Rating (or Domain Authority) – Domain Rating is a proprietary metric, created by Ahrefs to demonstrate the strength of a website’s overall backlink profile. This is measured in both size and quality, so you have a complete view of the domain. Domain Rating is measured on a logarithmic scale from 1 to 100, with the latter being the strongest. URL Rating (or Page Authority) – URL Rating is another Ahrefs proprietary metric. Instead of the entire domain, URL Rating measures the strength of a specific URL’s backlink profile. This should give you a great idea of a specific URL’s likelihood of ranking for its target keywords. URL Rating is also measured on a logarithmic scale from 1 to 100, with the latter being the strongest. Referring Domain: A referring domain is a domain that backlinks are coming from. In order to analyze a backlink or the domain from where the link to your website has been placed, you can use a variety of different SEO tools like Moz, Ahrefs, or SEMrush. My favorite tool is Ahrefs, as it has the most extensive link data out of all of the third-party tools available. Know the difference between dofollow and nofollow tags – dofollow links are your typical links. Most links work this way and you don’t need to add any code. No problems there. Nofollow links, however, do not contribute to rankings. If you want to link to someone without endorsing their content, use the nofollow tag when linking to them. Likewise, understand that if someone has linked to you using the nofollow tag, you will not benefit from a ranking boost. Within the SEO community, it hasn’t been officially determined whether or not no follow links are actually of any importance when it comes to the level quality of a backlink. However, it it agreed upon that a no-follow link from a domain with a high authority is still worth the effort and can help to boost your authority as a result. Use relevant anchor text – Google is trying to understand your page. It pays particular attention to the words you use when you link, whether internally or externally. When a domain links to you, the anchor text is also what motivates people to click the link and visit your website. You will want most of your referring anchor texts to describe your business, page, or service as accurately as possible. “Click here” is not descriptive. “Click to download this free link building cheat sheet,” however, is more informative and contains relevant keywords. 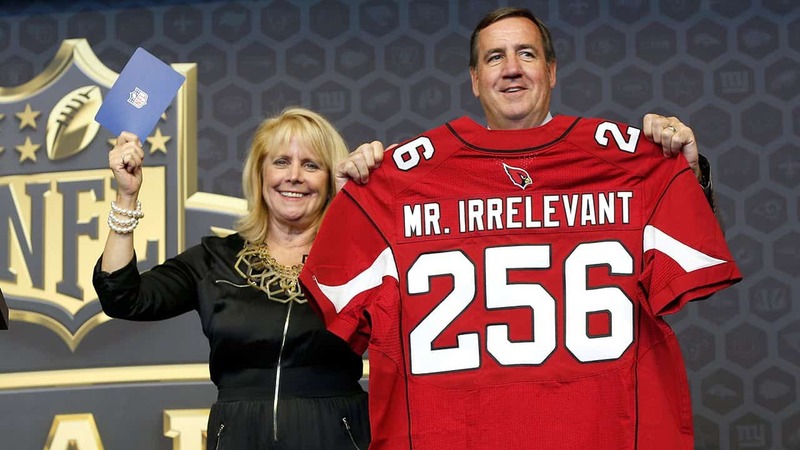 If you can make your anchor text meaningful, this will help improve your ranking. Strive to acquire links to key pages on your website with anchor text that is most relevant to the page it is linking to. Outgoing Links – Be on the lookout to see what type of websites a referring domain links to. If the referring domain only links to your website, only links to low quality websites, or doesn’t link out to other websites at all within its content, this may signal as a red flag to de-index or try to discount the link you have scored. Getting links from sites that drive real traffic are the type of quality links you should be aiming for. While the sites with very large traffic numbers may be harder to acquire links from, from a long-term perspective, they’re among the most reliable and stable links you can acquire. Not only will you acquire a quality link, but an added benefit if you’re guest posting or even commenting on a blog post is referral traffic to your website. Users that deem your content or comments relevant, may end up visiting your site as a result. I remember seeing Ryan Stewart detail how blog commenting is more powerful than you think, since the residual benefits may ultimately be invaluable to your brand. How Do You Acquire High-Quality Backlinks? done through a variety of ways and through various forms of content. What are some types of linkable assets that will help you score new backlinks? Infographics are one of the most linkable assets. Content creators know that visuals are an important addition to any short or long-form blog post (for SEO reasons and to improve readability). Creating an infographic that summarizes all of the key points that you included in your 1,500-word article is a great way to engage those people in your target audience who aren’t the biggest readers. Infographics can be inserted into any post or page, which is what makes them a successful part of any backlink outreach campaign. If you are a consistent content creator or you are a part of a brand’s content team, then you have probably heard of the term “listicle” before. If you haven’t, listicles are articles written in list format that are supposed to be easily digestible, fun to read, and informative in nature. Lists are oftentimes shorter in length, or at least appear to be, which helps brands cater to our modern day person’s short attention span. People enjoy reading snippets of content rather than long paragraphs or blocks of content — and that is why listicles earn more readers and high quality backlinks. 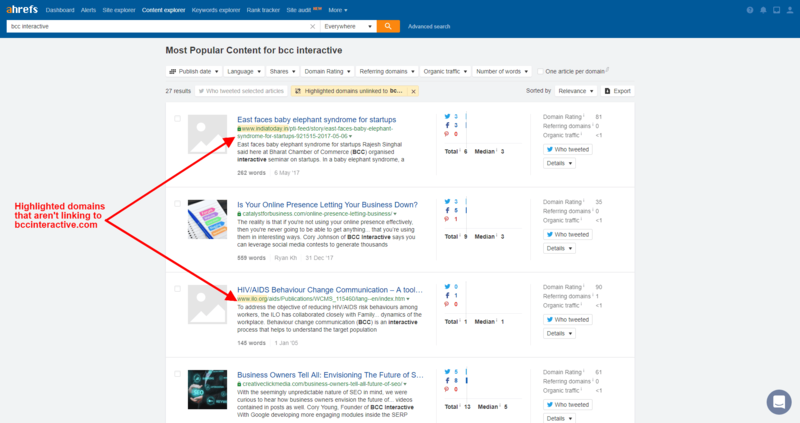 Embeddable, engaging, and interactive content is sure to help you acquire backlinks. Some forms of interactive content include quizzes, surveys, polls, and other types of forms that readers can click through or fill out on their own. Sharing interactive content on your website and other platforms is a great way to engage your target audience and prompt them to answer a question, respond to, or provide feedback on something you have written or created. Videos are another excellent form of content that is highly linkable on virtually any platform that allows embedding. If you wrote a listicle, create an alternative form of content like a video slideshow to go along with it. If you wrote a recap about a place you visited or conference you hosted, complement your article with a vlog that highlights what happened during the event. You can then pitch this video to relevant publications that will embed your video into their own long-form blog post. YouTube and Vimeo are two of the most popular video platforms, both of which include their own internal analytics dashboards so you can assess how many shares you received and how many people are watching your content. Anything that is visual, helpful, informative, or entertaining in nature to a large base of readers will help you to gain quality backlinks. No matter how you do it, the more linkable assets and forms of content that you create will enable you to receive backlinks from thousands of different publications. When you’re building backlinks to a fresh domain, think about it like building a house. If your house doesn’t have a strong foundation, it may come tumbling down when you least expect it. Niche-relevant forums can be effective as a source for your branded backlinks, either through your profile, or contextual links within the body of your messages. Now keep in mind, these links aren’t going to set the world on fire, and I’m definitely not recommending that you go sign up for 100+ forums hoping that they’ll move the needle in your link building efforts. The key is to interact and engage with people interested in similar topics and to boost your brand authority, but links from authority forums will definitely help build the foundation of your overall link profile. Yes, the backlinks that build the foundation of your link profile should absolutely include social media sites. At a minimum you should have your business registered on Facebook, Twitter, Pinterest and Instagram. ial media content & social signals into account, case studies have proven that it absolutely helps. Check out who is talking about you by using http://www.socialmention.com/. Each directory you register with will provide a backlink to your website. While these links aren’t absolutely mind-blowing, they help Google develop an understanding of your niche. That being said, be careful to only join reputable directories, as many shady directories have either been penalized by Google, or deemed essentially irrelevant. Target quality, up-to-date directories that are respected and relevant to your business. Reputable directories are normally useful, quality, trusted sites that are doing well with Google themselves. 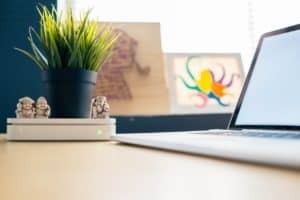 These are some of the most powerful links that you can build to your website, as they come from the most authoritative sources within your industry. The strategies below will help you find the most relevant opportunities to acquire those links. Guest blogging is a popular and valuable tactic. Contextual backlinks within the body of of an article are some of the most powerful that you can attain. We understand that it is time-consuming though, so our White Hat Link Building Service offers a done-for-you approach, where we do everything from the outreach to the content development while keeping you in the loop every step of the way! Research the editor – Don’t blow first contact by getting the editor’s name wrong or saying you love his work when actually he is a woman. You know, be authentic. Make contact in a personal way – Demonstrate that you’ve read something that he/she has written, or that you are similar in some way. When it comes to link-building and guest blogging, real human relationships are important. Offer something of value – Avoid begging. Explain why a post from you would be good for their audience, not yours. Be patient – If you are targeting an influencer with many followers, he or she is likely to be busy. Allow time for a reply according to how busy they are. Be persistent – It’s okay to follow up with someone you have contacted if they don’t get back to you. Until they say no, you have a potential guest blog. And if they say no, thank them for their time and move on. Personalize It – Using a standard email will save you time, but it’s important to keep your messages personal by tweaking it for each editor you approach. This is a technique that many SEOs have popularized and touted over the years. It works because the last thing people want on their website is broken links, but they may not have the time or ability to find them. That’s where you come in! 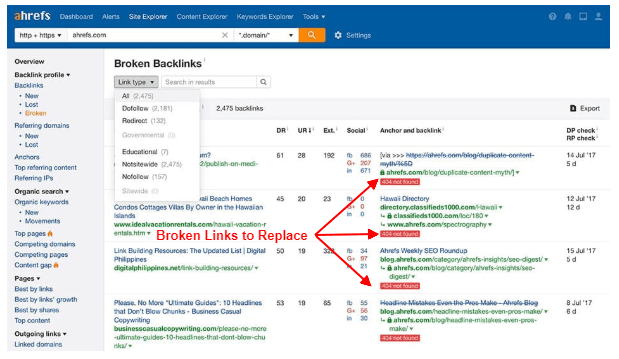 Most of the broken links you’re going to find are going to be on a resource pages or roundups, so its best to start your search there . The Skyscraper Technique was created by Brian Dean of Backlinko, and is essentially a technique that rewards your high quality content with high quality backlinks. Reach out to people that have linked to similar content and introduce them to your new-and-improved content piece. Link roundups are one of my most favorite link building targets, but also some of my favorite blog posts to read. Why? Because they’re usually full of quality content. 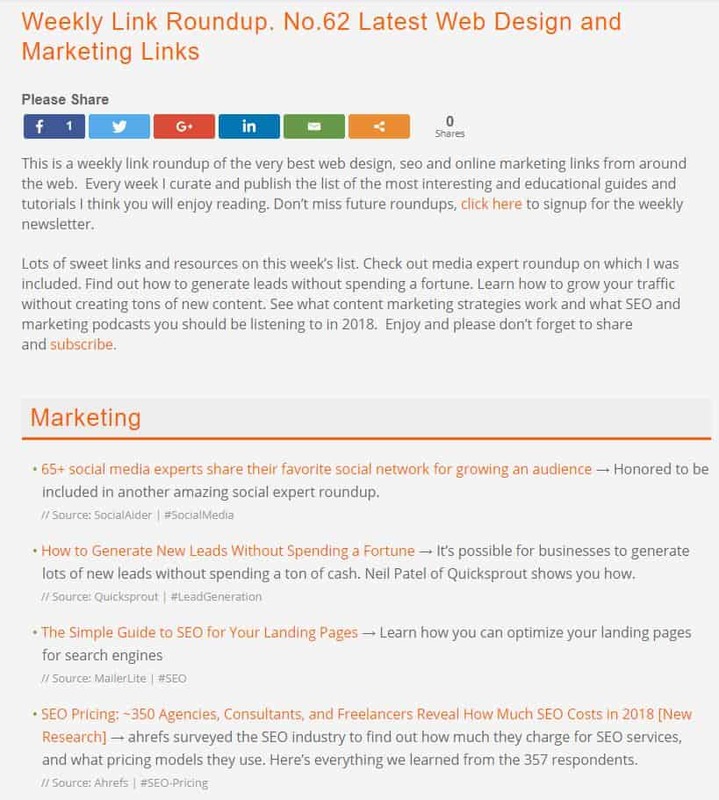 Think about link roundups as a great way to get more eyes on the quality content that you’ve already published on your blog or website. So I’m sure you’re wondering, how do I land my informative post on an awesome roundup like this? Check out the process I’ve used myself to land on a couple of link roundups. I just happened to be browsing the [relevant industry topic] and happened upon your [Roundup]. There’s some really informative stuff! Would love to engage with your readers, as SEO is a passion of mine! Finding unlinked mentions is one of the easiest and most efficient ways to acquire links. It involves finding all mentions of your brand or your brands products that haven’t been linked back to your website by the site owner. 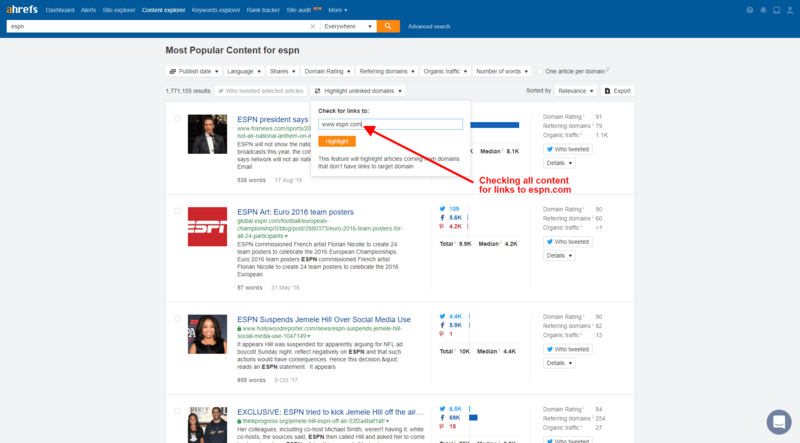 Content Explorer will tell you whether they linked back to your website or not. We want to filter and highlight all of the domains who did not link back to us, so we know where to target. After you’ve found your unlinked mentions, reach out to the respective webmasters or journalists with your request for them to link back to your website. I was reaching out to say huge thanks for mentioning my company [brand] in your [content piece]. It is very much appreciated. I was wondering if you could add a link to our site, so that users can easily access the content discussed. Looking forward to engaging with you in the future! Short for “private blogging network,” PBNs are one of the most common blackhat strategies that you should avoid pursuing. Typically, when you hire a shady SEO agency or consultant, they will build links to your website through their own network of private, low-quality blogs. These PBNs consist of the basics in terms of design, development, and content in order to comply with Google’s blogging standards. Although these websites “look” like real publications, they’re basically just beautified link farms. Don’t fall for this trap! Keep in mind that 10 high-quality backlinks will be far more beneficial toward increasing your website’s authority compared to acquiring 500 low-quality PBN links. If you manage the back-end of a blog on WordPress’s content management system, then you are well aware of how many spam comments blogs receive on a daily basis. Spammy blog comments can come in many forms. You may either spam hundreds of blogs with a generalized comment that includes a link to your website. You may also pay a few bucks to have link-builders do this for you. Whichever form you might want to implement, save yourself the stress and don’t do it at all. However, commenting on industry relevant blogs with a personal and personalized response to the article is more acceptable, yet still not the best idea. Oftentimes, comment links are no-followed to avoid all commenters from easily gaining a backlink on a DA90+ website. Uploading your information into relevant business directories will definitely help to boost brand awareness and attract new clientele for your business. On the other hand, recklessly placing your company information or using an automated service to place your URL into hundreds or thousands of irrelevant directories will ultimately do more harm than good. Once again, remember backlink quality is more important than quantity. Perhaps you’re a web developer and you’re fortunate enough to work with hundreds of clients. This means that you have access to the backend of hundreds of websites. An older, sneakier form of black-hat SEO is to place links to your business’s or your client’s websites into the footer of other websites, no matter how relevant in nature they were. A link with a relevant anchor text that is placed within the body of an article is the best location… not hidden at the bottom of a random domain. In conclusion, stay away from blackhat tactics and put your efforts toward something that will work to improve your website authority and benefit your bottom line — not harm it.